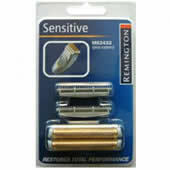 Remington have now discontinued this part. It is no longer available. Great service from Electrospares. Quick and free delivery. This Remington foil and cutter was cheaper than the last one purchased from another supplier.